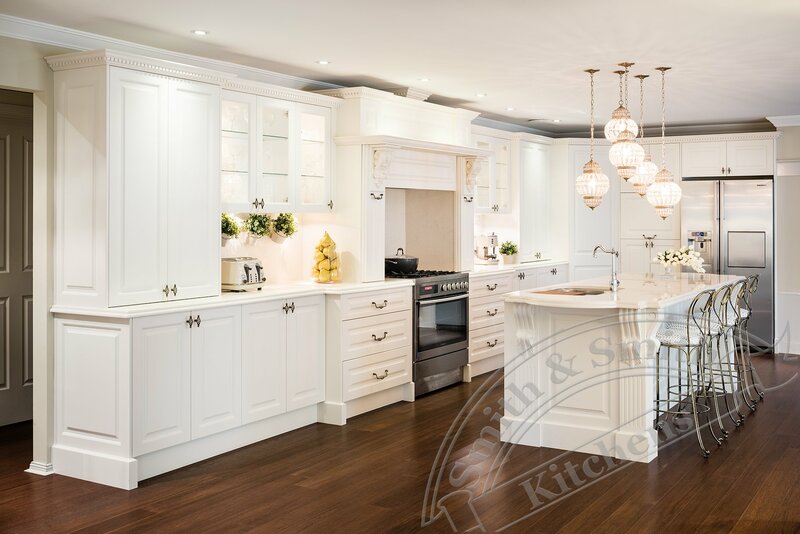 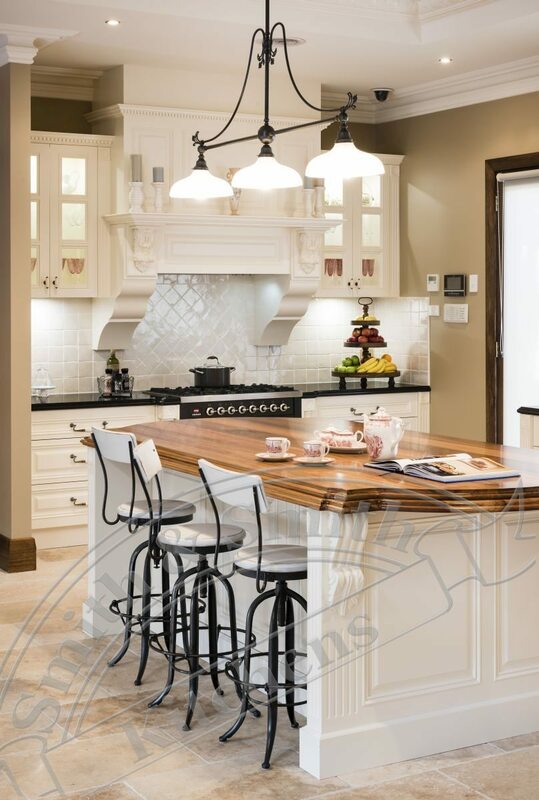 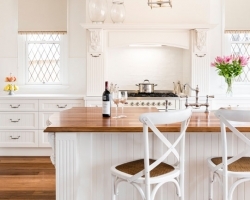 A traditional look was adopted throughout with the kitchen making a stately provincial impression. 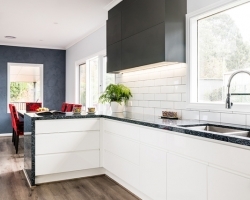 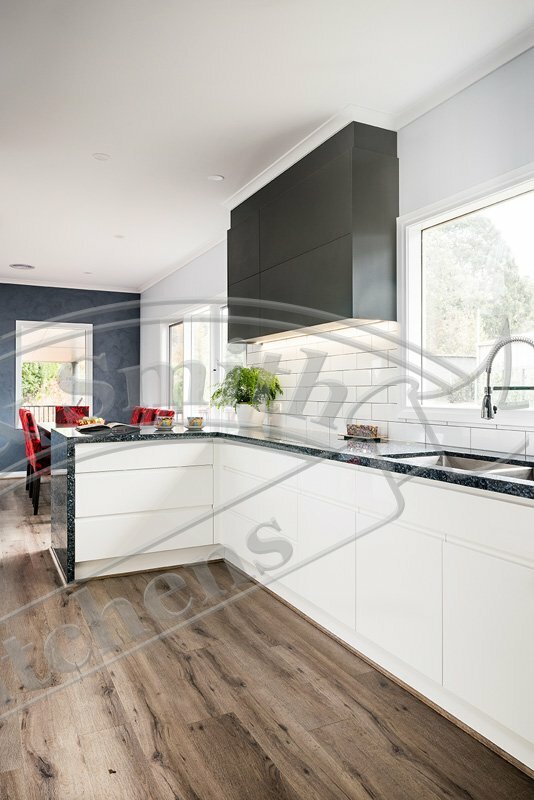 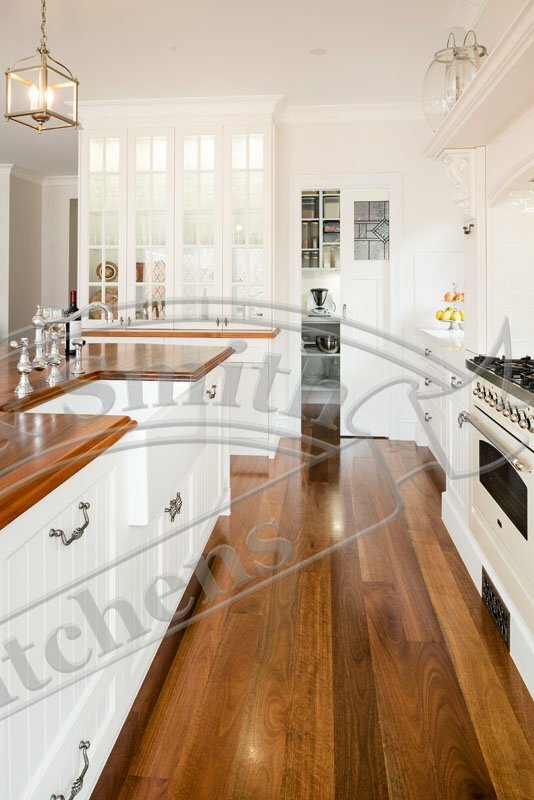 The rich warmth of solid blackwood on some bench tops balances out the cool of the white two-pack polyurethane finish on cabinetry and the white engineered stone bench tops in the other half of the kitchen. 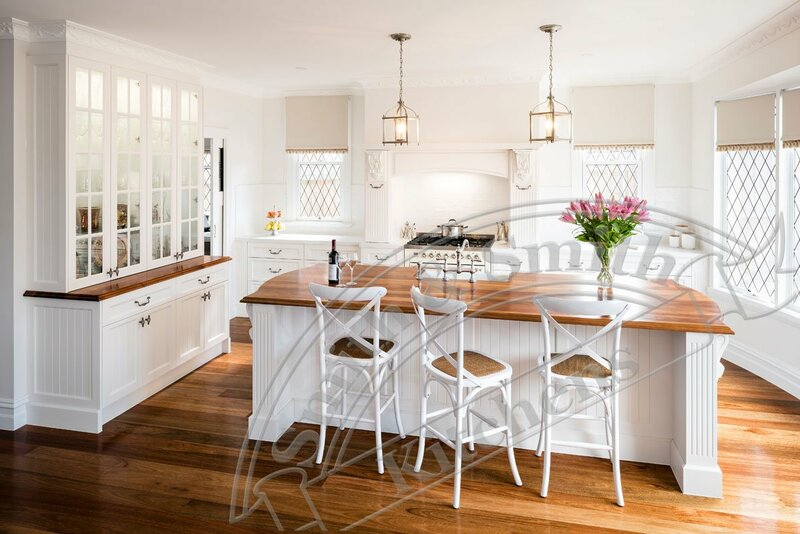 Timber and white never fails to produce a fresh, salubrious feel, while also being durable – perfect for family life. 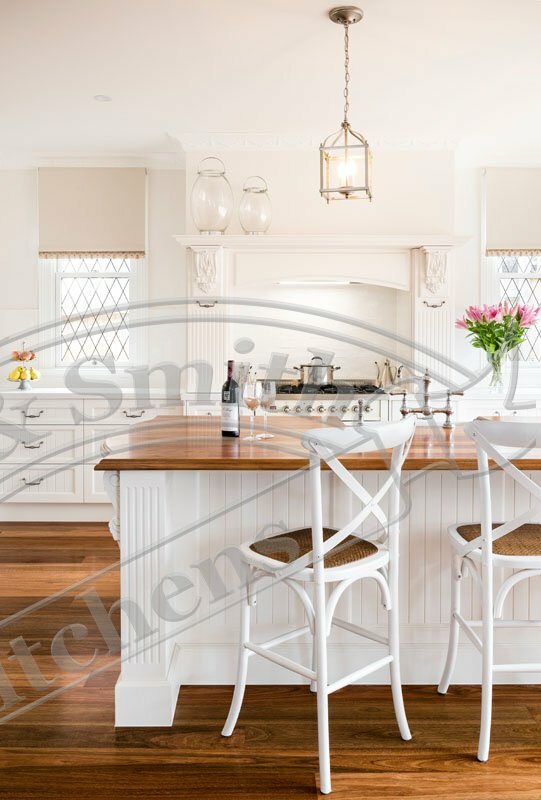 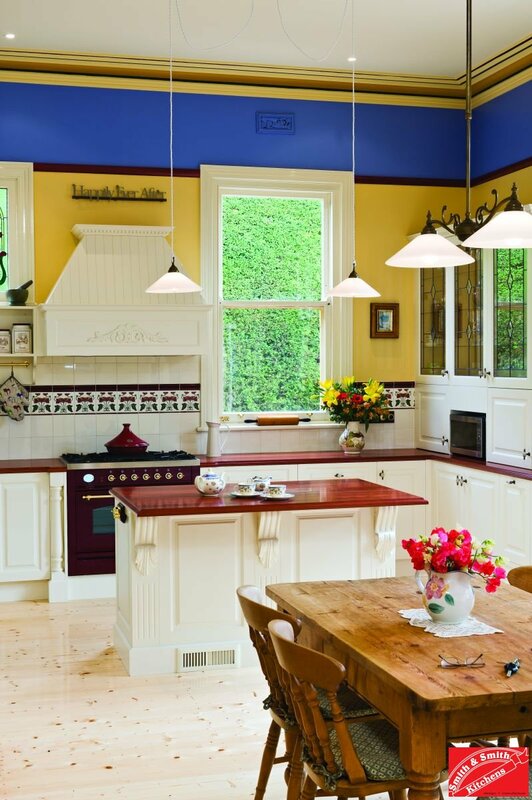 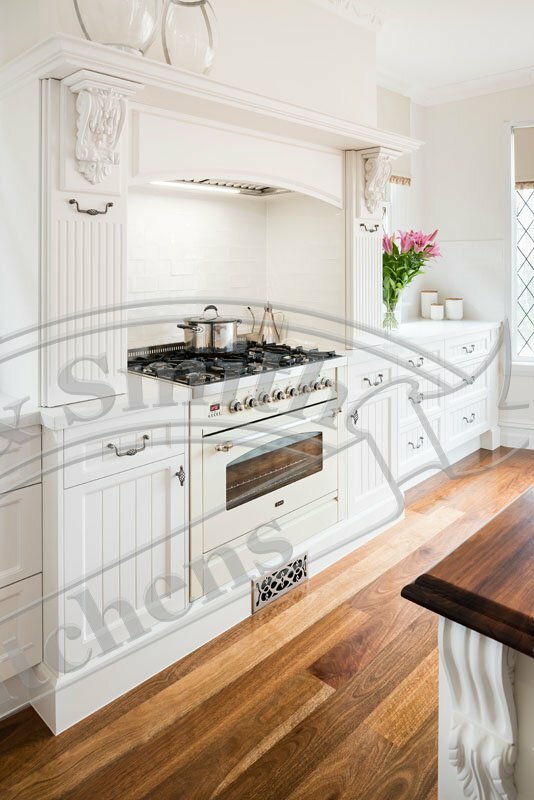 The kitchen features a display cabinet with colonial glazing bars, mantle mouldings including corbels. 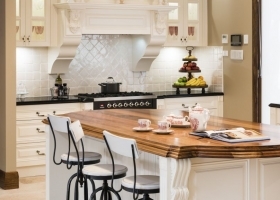 The double bullnose of the bench-top shows off the solid time and adds country charm. 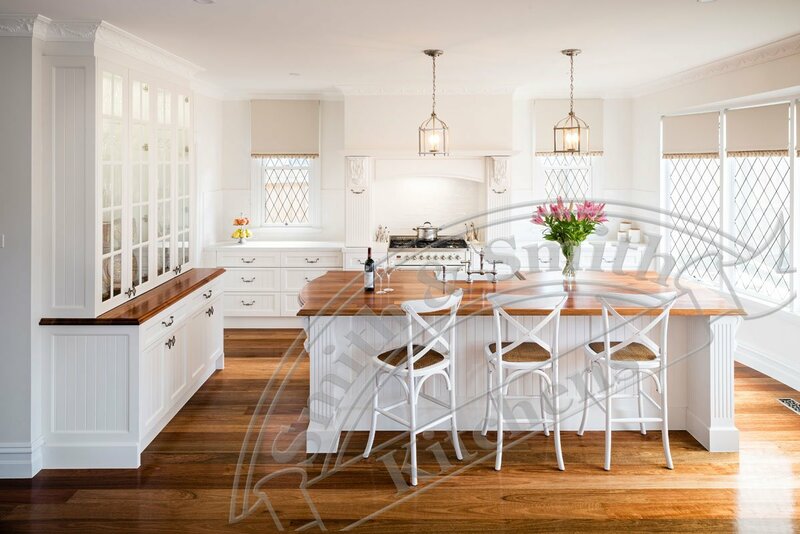 Country style v groove doors provide the country charm that must be summoned in a provincial kitchen. 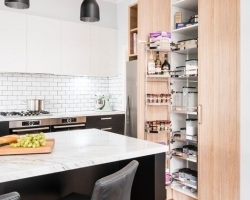 There is so much storage space within this butler’s pantry. 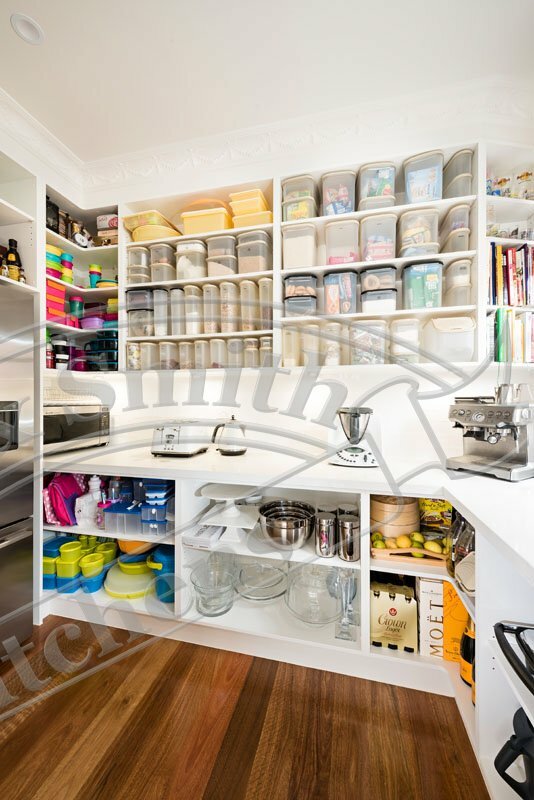 Butler’s pantries offer a great method of storing items that you need ready access to, but do not want on display. 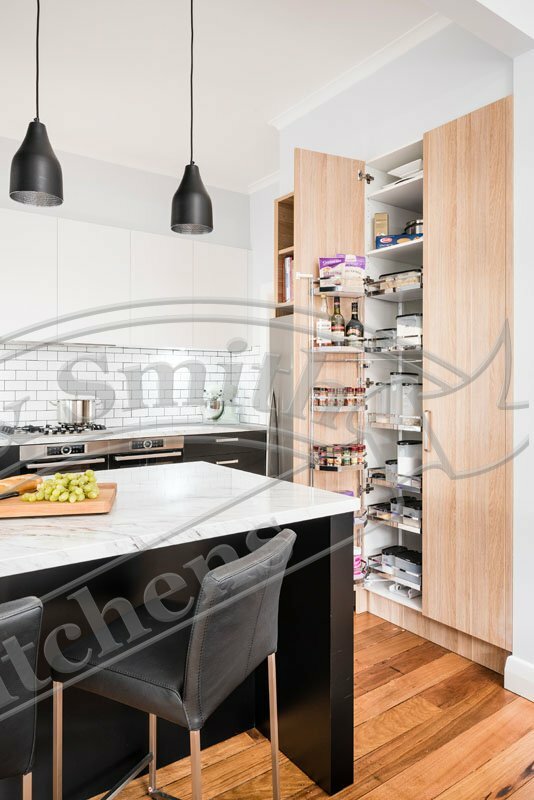 Open shelving within the pantry give a visual reminder of what you have on hand without things getting lost at the back of cavernous cupboards. 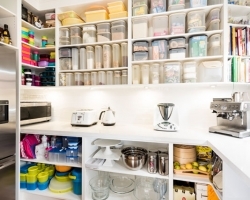 Read more about butler’s pantries here. 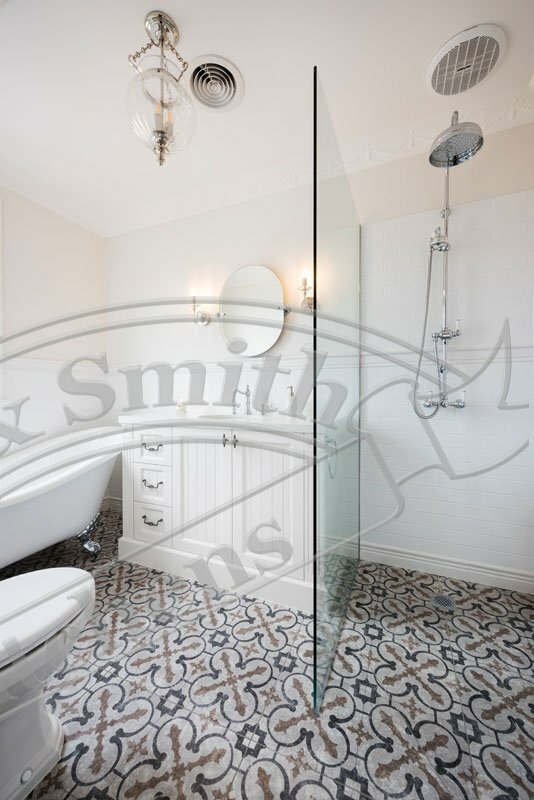 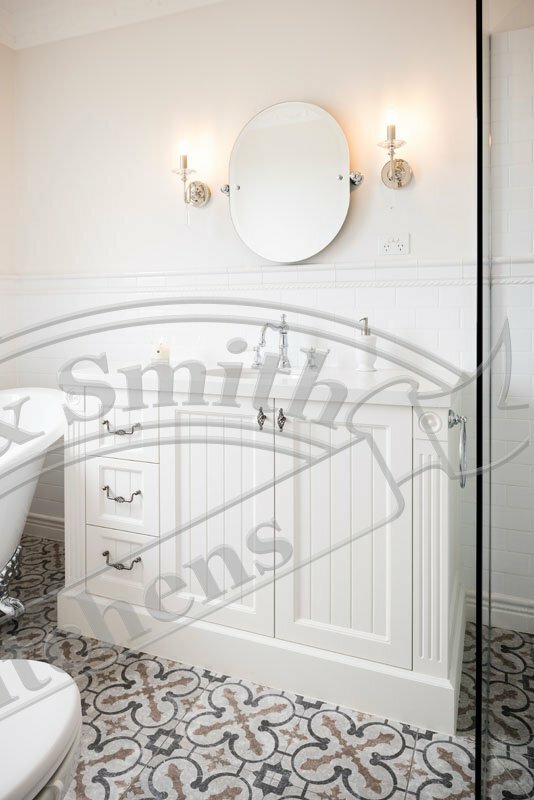 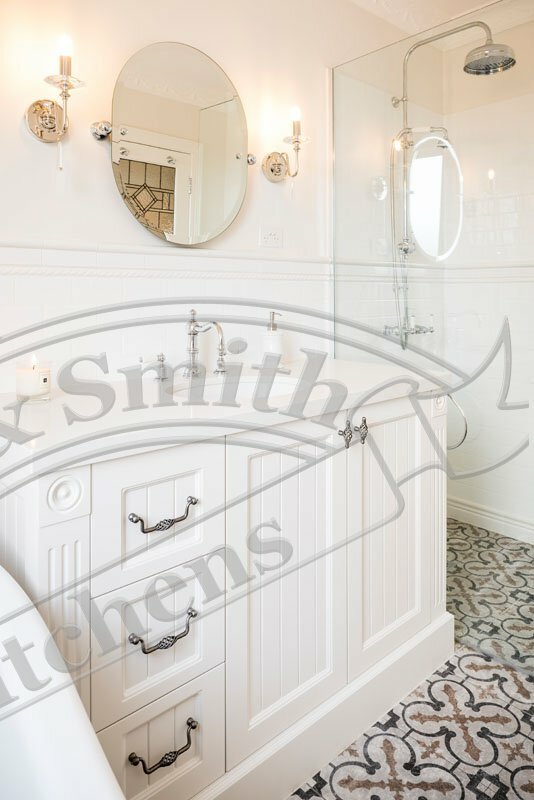 Vanities carry the traditional theme through to the bathroom with the same country style v groove doors. 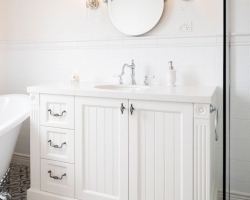 These vanities feature engineered stone bench tops and underslung basins. 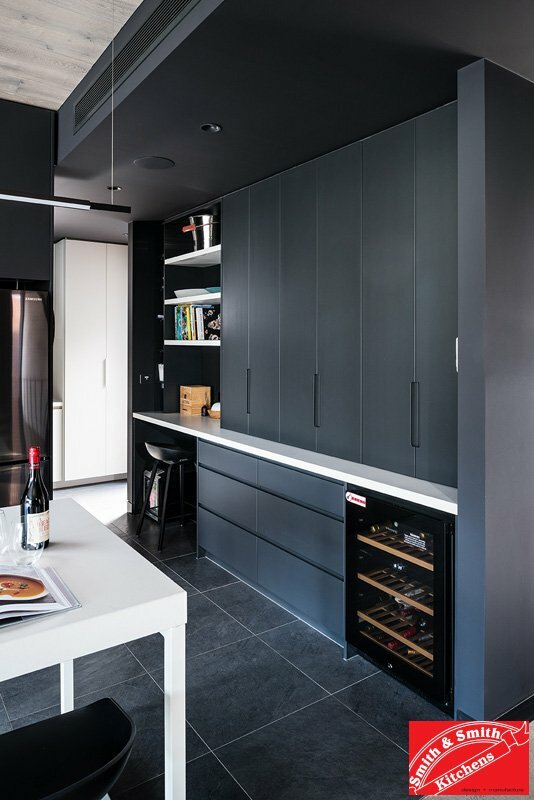 The built in desk is girly without being over the top. 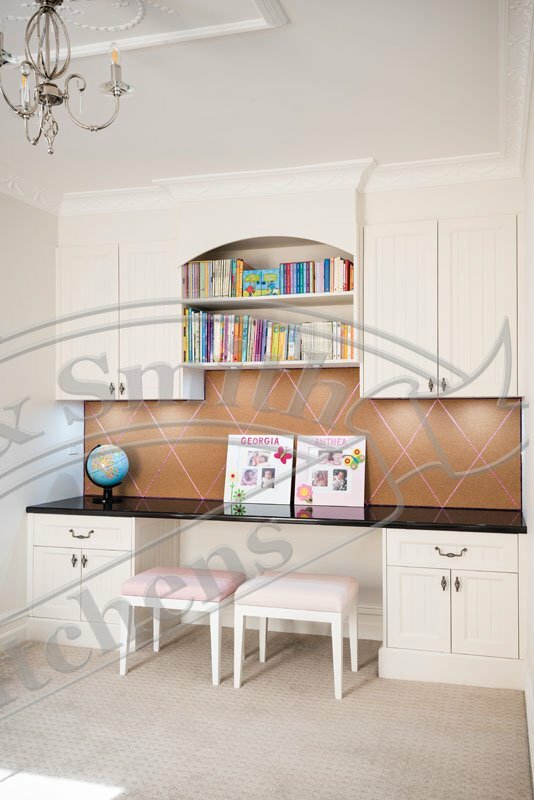 A cork back board is embellished with a pink ribbon photo hold to emphasise this as a girls room without the exclamation mark. 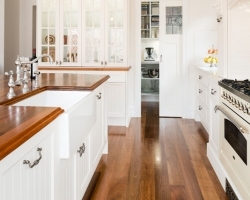 Laminate bench tops provide a durable landing for many years worth of crafting and homework. 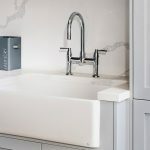 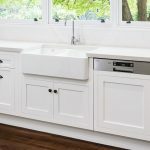 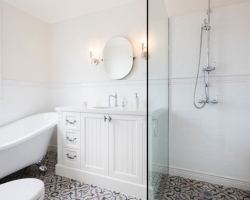 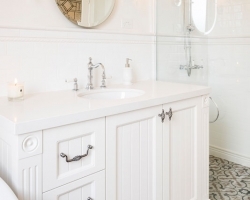 A european laundry is a popular choice currently with many families opting to reclaim as much living space as possible in their home renovations. 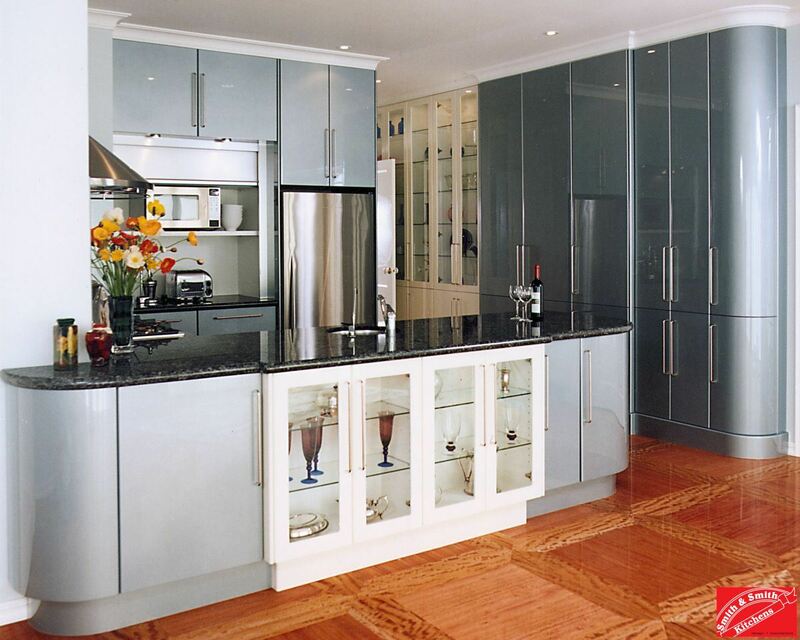 This european laundry hides behind bi-fold doors, within which there is a wealth of storage and hanging space. 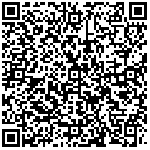 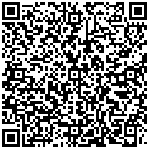 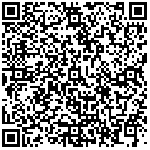 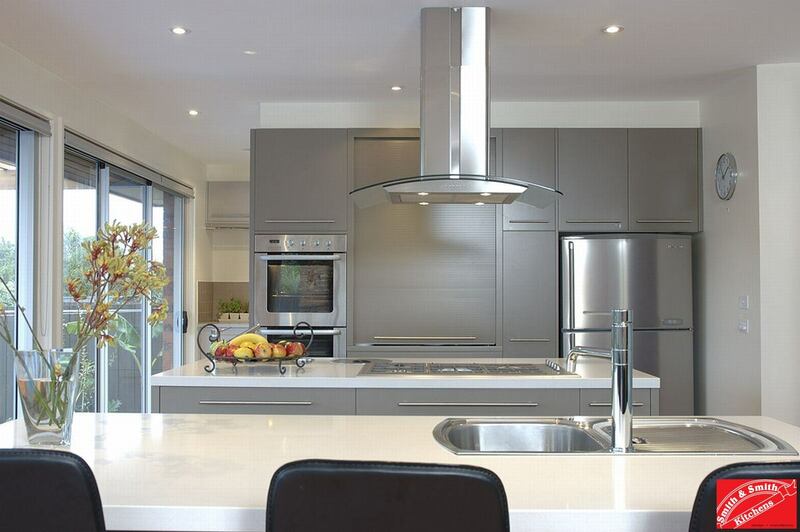 See larger images of the Kew East renovation by clicking one of the thumbnails below. 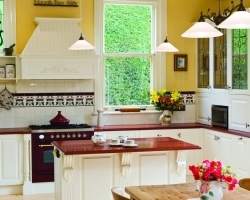 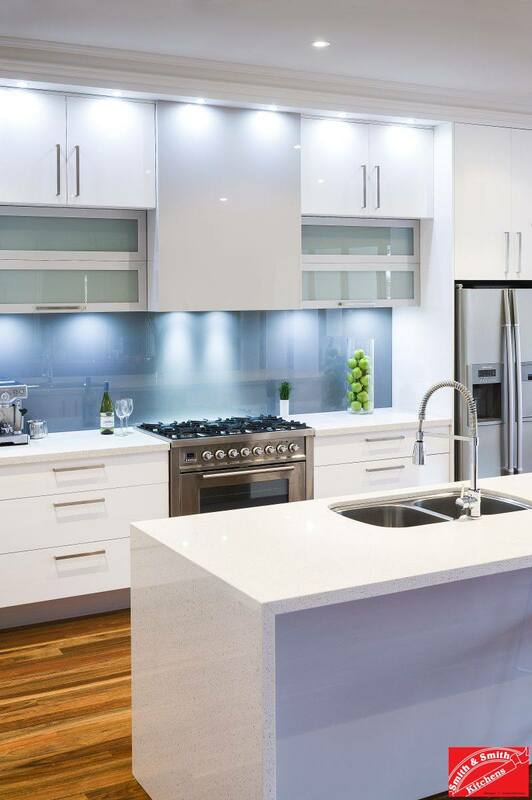 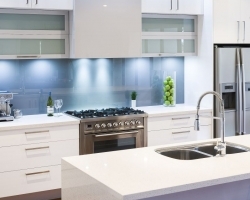 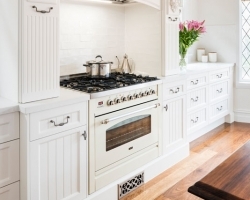 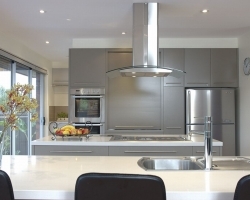 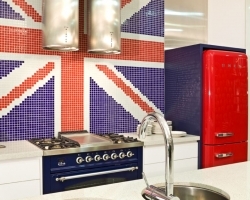 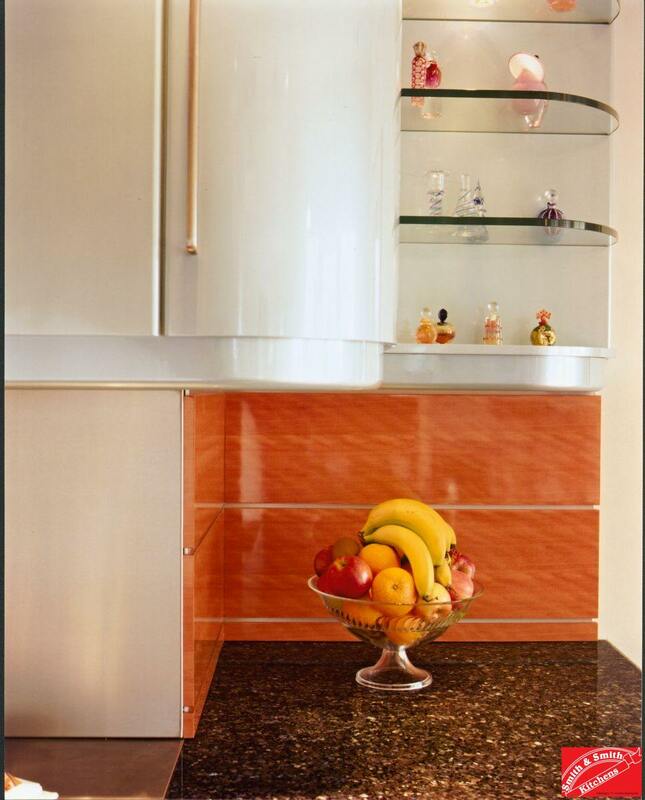 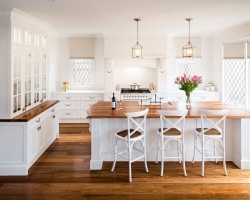 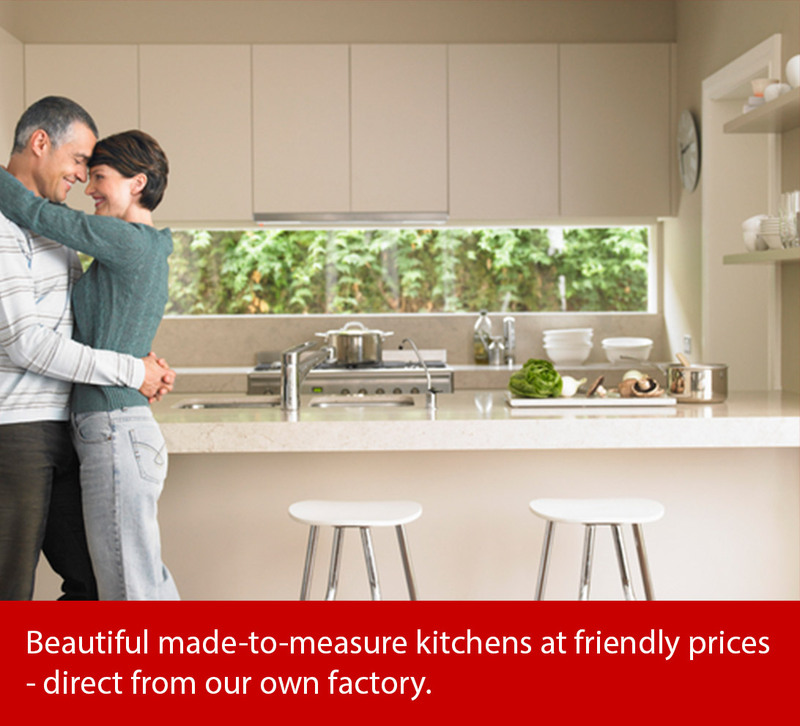 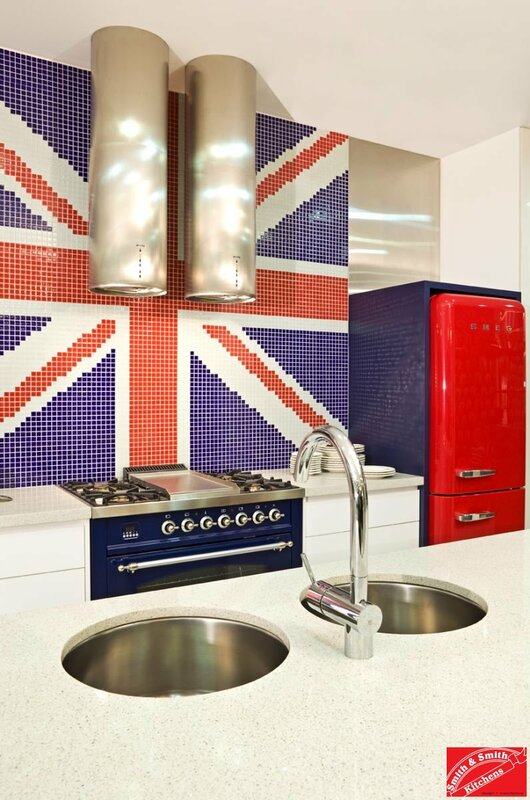 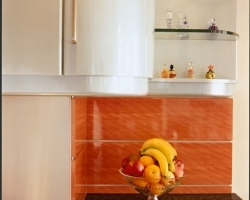 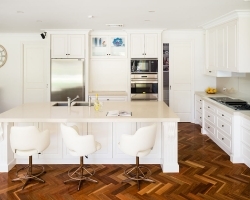 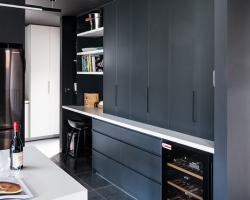 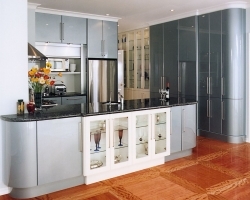 Or return to our Recent Kitchens page for more inspiring kitchens and cabinetry.